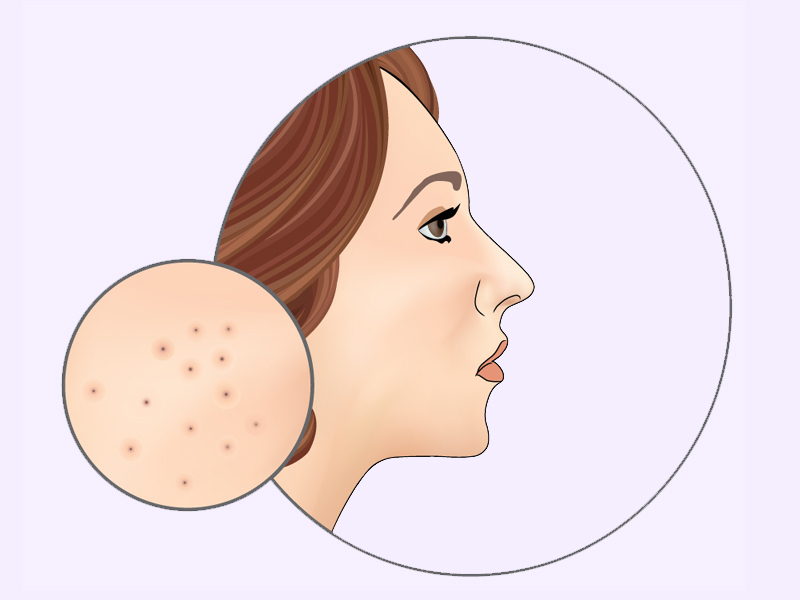 There are three types of skin, dry, normal, and oily. Where dry skin gives you dull and rough look, oily skin on the other side makes skin greasier. Extra oil in your skin attracts dirt and dust which causes acne and pigmentation problems. During summer the problem of oily skin become more gruesome. An aptly chosen facial product will definitely help you to overcome the problem. Have a look at the well-researched best facial kit for oily skin. There are five simple steps to apply facial kit. Step 1: Cleanse your face with the cleanser for 60 seconds. Step 2: Then use the facial scrubber and scrub your face for 1-2 minutes. Step 3: Massage softly on your face with 15-20 minutes with massaging cream. Step 4: And the very last step apply the facial mask or pack for 15-20 minutes and wash with clean water. Use the facial kit for oily skin at least twice in a month and get an oil free healthy skin. The product is enriched with the essence of crushed pearl which deeply cleanses your face and removes the grease completely. This facial kit is boon for dark skin tone. It reduces the dead cells and enhances the skin brightness. The four easy steps are very fruitful to get a glowing and radiant skin. It is the best facial kit for oily skin at home. Step 1: Apply cleansing gel to your damp face and rinse thoroughly with a wet cloth. Step 2: Take adequate amount of pearl scrub and rub for 1-2 minutes on your face and neck. Step3: Apply pearl massage cream for 10-15 minutes. Clean it with damp cotton. Step 4: Apply pearl face mask and leave to pat dry. Wash with clean water. Price: INR 225 for 50 gram. The VLCC facial kit for oily skin has the traits of gold which is very useful to light your skin tone and makes you glowing and radiant all the time. The kit is the combination of 4 sachets like a face scrub, peel off mask, fairness gel, and massaging cream, along with 6.6g insta glow bleach that has to be applied one day before to face pack. The product exfoliates your sensitive skin and makes it smooth and glowing. Step1: Wash your face one day before to face pack with VLCC insta gold bleach. After one day of inta bleach application, apply gold scrub for 5 minutes. Clean your face with water. Step 2: Apply peel off mask over face up to the neck with your fingertips. Peel off the mask after getting dry and wash the face and dry it. Step 3: Take required quantity of gold gel and Apply gently and let it absorb all over your skin. Step 4: Lastly, massage with Gold cream for 15 – 20 minute and wait until to get absorbed into the skin. Price: INR 235 for 60 grams. 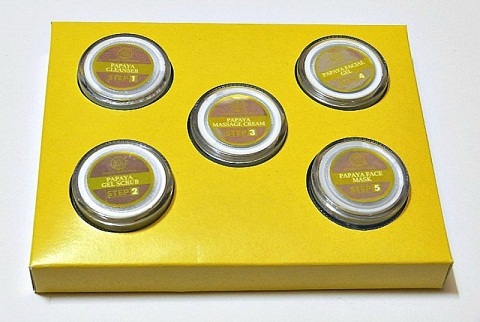 The Khadi papaya skin revitalizing facial kit is a best facial kit for oily skin in summer. The product is 100% herbal and enriched with the goodness of fruits. The main ingredient is used to manufacture this product is papaya which works very well to enhance your skin tone and eliminates the oil from the skin. The highly enriched properties of papaya give you the natural glow and fair complexion. It is very helpful to remove the extra grease from your skin and actually moistures it. Step 1: Apply papaya cleansing lotion and remove the dead cells of your face for 1 minute. Step2: Massage with papaya scrub for 1-2 minutes gently on your face and neck. Step 3: Apply the papaya massage cream for 10-15 minutes. Step 4: Apply papaya face pack for 15 minutes and wash with water. Step 5: Apply massaging gel and leave it on your face and neck. Price: INR 299 for 75 gram. 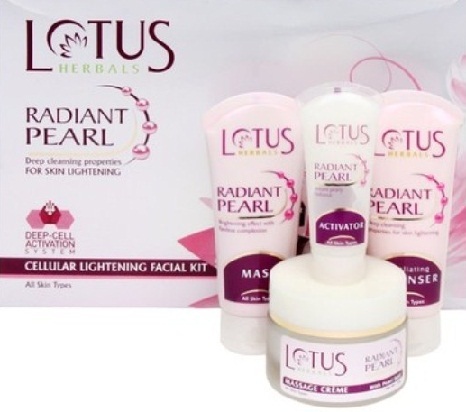 This Lotus professional facial kit for oily skin is 100% herbal with an essence of natural pearls. The product improves skin consistency, remove dark circles from face and neck. The natural ingredients quietly eradicate the dead skin layers and refurbish clear, bright skin to your face. The easy 6 step can make your skin radiant and glowing. It also a best bridal facial kit for oily skin that you can even use it at home. Step 1: Cleanse your face with radiant pearl exfoliating cleanser. Step 2: Take 6-7 drops of radiant skin activator and massage for 2-3 minutes. Step 3: Apply radiant pearl massage cream and massage for 15-20 minutes. Step 4: Apply radiant pearl face pack and leave it dry for 15 minutes. Wash with clean water. Price: INR 175 for 30 gram. 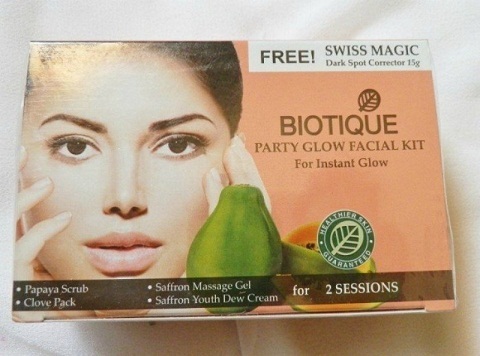 Biotic party glow facial kit is a best herbal facial kit for oily skin and also very effective to get an instant glow. It is very suitable for oily skin. The very simple four steps which you can even try at home and makes your skin soft and smooth. It removes the excess oil from your skin without making it dry and dull. It deeply revitalizes your skin and gives you a glowing sin. Try this 100% natural and herbal product to get a beautiful and radiant skin. Step 1: Firstly cleanse your face with cleanser. Step 2: Apply papaya scrub on your face and neck and wash with a clean damp cloth. Step 3: Apply saffron gel and massage for 5-6 minutes. Step 4: Apply clove face pack and leave it to dry for 15 minutes. Wash with clean water. Step 5: And finally apply saffron youth dew cream to moisturize the skin. Price: INR 215 for 75 gram. Shahnaz husain facial kit for oily skin is very useful to rejuvenate your skin and makes it glowing and charming. 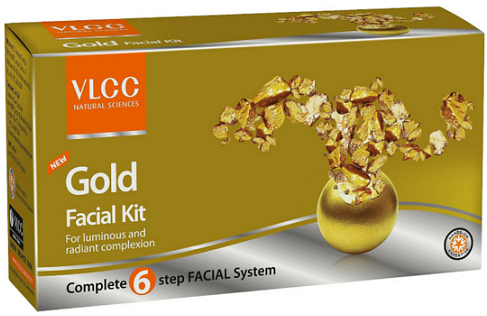 The gold extracts deeply moisturize your skin and makes it healthy and glowing. 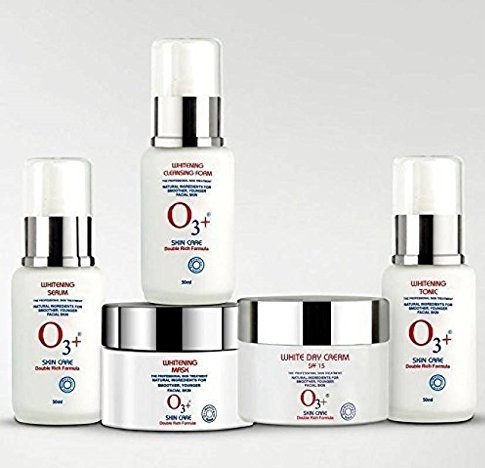 The highly researched anti-ageing formula helps to reduce the fine lines and wrinkles from your face and eliminates the unwanted oil naturally. Step1: Deeply cleanse your face and neck with gold cleanser and rub golden scrub in an upward motion on your face and neck. The golden scrub removes the dead cells and impurities. Wipe with damp cotton. Step 2: Apply golden cream in a circular motion on face and neck for 15 – 20 minutes. Step 3: Apply thoroughly the golden gel till it completely disappear from your skin. Step 4: Lastly apply the golden mask and let it dry for 15 – 20 minutes. Remove it with clean with water. Price: INR 3929 for 190 gram. 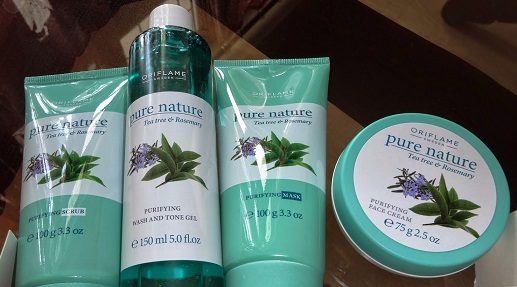 Oriflame tea tree and rosemary purifying facial kit are 100% herbal and natural product for oily skin. The richness of tea tree and rosemary naturally soothes your skin and makes it radiant and beautiful. 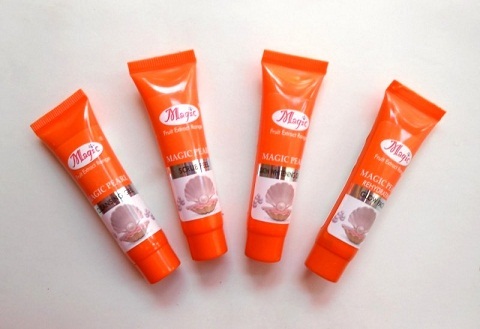 The product is more natural and skin-friendly. It will take 30 minutes to get a glowing and radiant skin with this kit. It is a very useful product to rejuvenate your skin. Step 1: At very first wash your face with oriflame nature tea tree and rosemary face wash gel. Step 2: Apply oriflame nature tea tree and rosemary facial scrub for 2-3 minutes. Clean with damp cotton. Step 3: Apply oriflame nature tea tree and rosemary face mask for 15 minutes and clean with damp cotton. Step 4: And lastly apply oriflame nature tea tree and rosemary facial cream to moisturize your skin. Price: INR 1399 for 500 gram. Dear men don’t be upset. 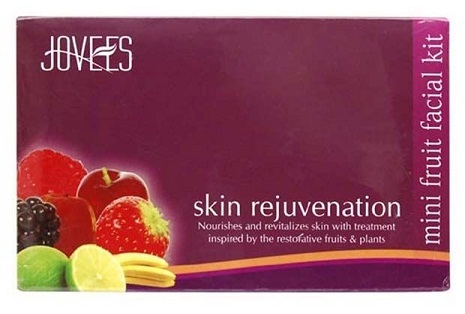 Here Jovees present the skin rejuvenation fruit facial kit for you. The richness of fruits like papaya, apple, banana, and avocado deeply cleanse your tough skin and remove the impurities and excess oil from it. This is the best facial kit for men’s oily skin. Step 1: Apply citrus and blackberry face wash to remove impurities and dull cells. Step 2: Apply honey and almond scrub and rub for 1-2 minutes. Step 3: Apply papaya and pineapple massage cream and massage for 15 -20 minutes. Step 4: Apply witch hazel and basil skin toning gel till it completely absorbs the skin. Step 5: Apply apple and avocado face pack for 15 minutes and wash with clean water. Step 6: Lastly apply tea tree and witch hazel rejuvenating cream to moisturize your face. Price: INR 685 for one whole kit. Loreal O3+’s advance method help to recover your skin tone and reduce the acne. The advanced formula is very helpful to get a light and dazzling skin. It enhances your equality in your skin by removing the dead cells from roots and removes the scars and spots. The must try product will definitely leave you speechless. Step 1: This is the used in the morning. Use cleansing foam with whitening tonic every morning. Step 2: This step is followed at night. Use cleansing foam with whitening serum. Step 3: This is done on weekly basis. Massage with whitening massage cream and apply a whitening face mask and wash with clean water. Price: INR 4135 for 250 gram. Whether its fruit, pearl, gold, and diamond, apply the facial kit and get rid of the oily skin tone naturally. The above mentioned products are very helpful to purify your skin by deeply cleansing and moisturizing it.